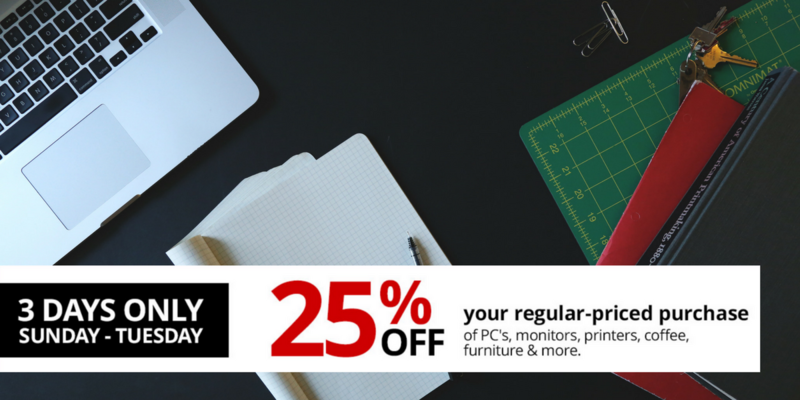 Now through Tuesday night, get 25% off your entire regular priced order from Office Depot. This is good online and in-store. You can use it on computers, and large items or go smaller for things you need. Their are a few exclusions like HP and Epson printers (but not Brother! ), smart home products and gift cards. Coupon ends Tuesday, 4/24 at midnight.